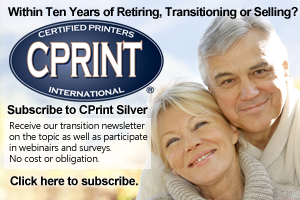 CPrint® International What to do with the building in business transition? admin July 24, 2017 Comments Off on What to do with the building in business transition? I’ve written before on the transition issues involved in leaving a small business to several siblings, meaning it doesn’t turn out well because of competing interests. That’s especially true if some don’t work in the business and especially when in-laws are involved. Now here’s a variation on that theme. Leave, or better sell the shop to the erstwhile son who has stuck with you all these years, but leave the property to his four sisters. That also is a cause for Thanksgiving problems and a bad thing to do. Here’s why. Tony bought the business from the parents as advised, it wasn’t gifted, even though Tony was the only one who stuck with the parents since high school. Of the sisters, one married an upcoming community doctor. Another married a young prominent attorney. Another married a banker and the fourth is now the chair of the political science department at a small university nearby. Why sell? It’s straightforward. The parents needed funds to retire. So as not to turn Tony into an indentured servant forever funding their retirement, an adult business transaction was created. The business was valued and Tony paid them that value. Fortunately, what Tony paid provided enough to complete their retirement portfolio. What if it hadn’t? Well, it would have been up to the parents to work harder and make the business worth what they needed or to accept a lower payout. Of course, the parents “loaned” Tony part of the money to buy the business, but Tony and his wife put money down as well as collateral to secure the note. After all, Tony’s was paid fairly to work in the business. Had he been gifted the business; sibling rivalry could have caused a predictable family disruption as the sisters wouldn’t have been compensated likewise. Parents overwhelming have the instinct that they must be “fair” with children’s inheritance. Unfortunately, is interpreted to most parents as being “equal.” It’s not. Fairness is equality of opportunity, not equality of results. In the original deal, the parents retained ownership of the building and Tony’s paid a reasonable rent along with retiring the debt. In time, the father passed leaving the mother as the sole property owner. The mother is now deciding what to do with the building. Her inclination is to leave the building to the sisters, which I see as a problem. Why? The sisters and their significant others have different goals. Two have children needing educational funds. Another wants to travel. And a fourth feels it should be sold to a local developer. All those scenarios put pressure on Tony to pay rent far above what is being paid to the mother, even to the extent of threatening the business. What’s a better plan? Same thing as was done when the business was sold to Tony. 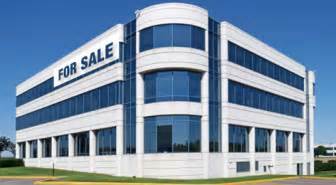 Value the property and sell it to Tony, even if it must be financed like the business. Better would be if Tony could obtain a real estate loan and purchase it outright, but either way, the mother could, if she chooses, take those funds and distribute to the sisters or keep them for herself. What the mother shouldn’t do is look upon the building as a family legacy to be owned equally by all in perpetuity. It doesn’t work regardless of the vision she and the father had. So, to leave the business to the son who has stayed home and helped create the thriving enterprise while leaving the building that houses it to the four sisters who have long left the nest, so they will have a part of the family heritage, is set up an inevitable battle that will inevitable pit siblings against each other. Avoid it. Sell the building to the son. And whenever the parents feel the need for equality among siblings, take the proceeds and give it to the them. Or keep the proceeds and spend it on their retirement. But don’t set up the family to fail. Finally, remember it’s a building. Never allow ourselves to fall in love with something that can never love us back. It always makes for rotten financial decisions.